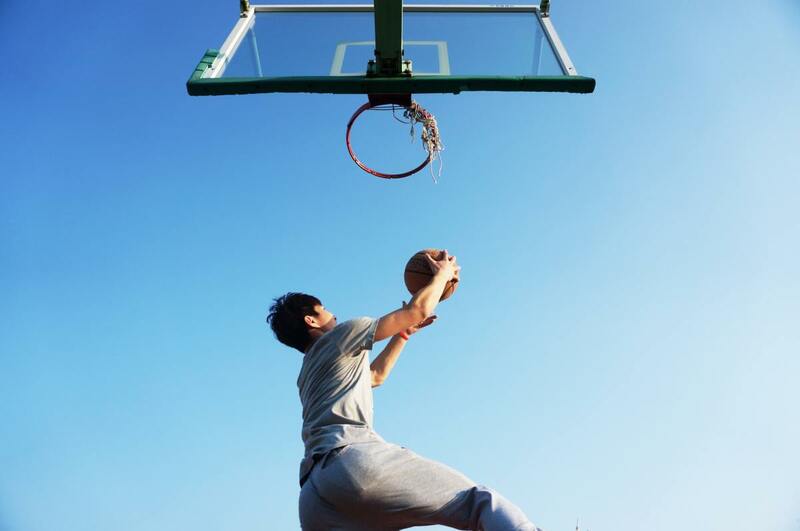 No other sport in the world has height play such a crucial role in your overall success like basketball. With the average height of NBA players being 6'7", there is huge pressure on prospective players to meet certain height requirements. You can be easily overlooked if you are under 6'2". This can be tough on young players with parents who are below six feet in height since how tall you are is largely dependent on genetics. Even though there have been some very short players like Nate Robinson, Muggsy Bogues, and Spud Webb who made it into the NBA, these players possessed athleticism that was out of this world. The truth is that the probability of making it into the NBA if you are under six feet is very slim. Below are seven NBA players who had relatively short parents (no taller than 5'10") but were still able to make it past 6'2". There is no doubt that these players' careers would have been different had they not grown as tall as they did. 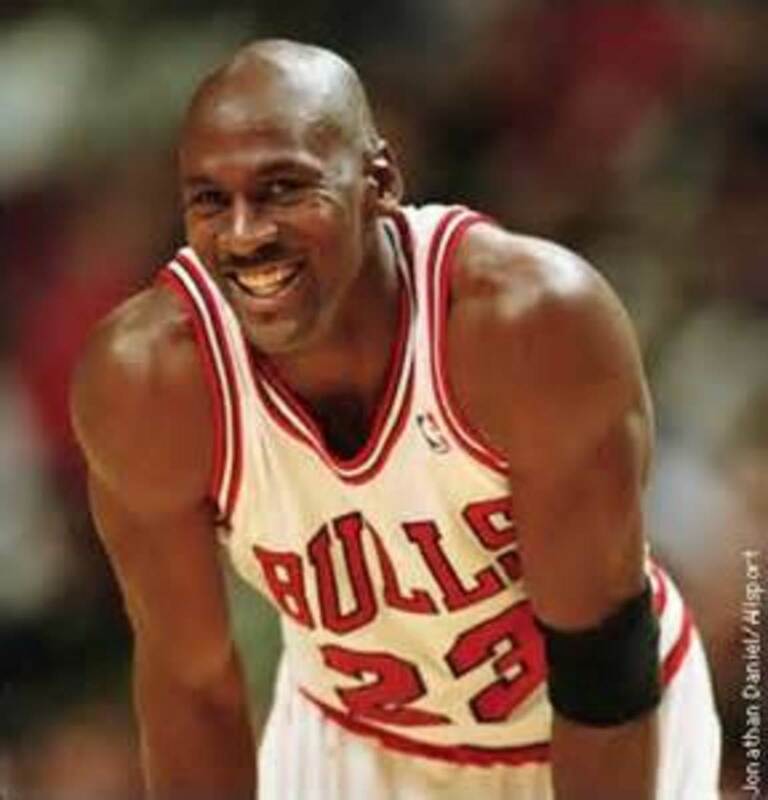 Michael Jordan is arguably the greatest NBA player of all time. 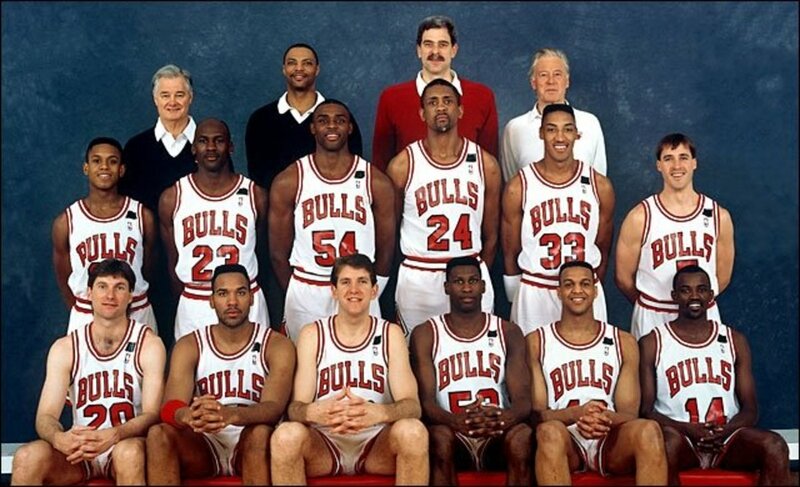 However, the 6'6" former Chicago Bulls star did not come from a family of giants. In fact, none of his immediate family members were above six feet in height. His dad was no more than 5'9," and his mom was around 5'5". It is not surprising that Jordan was not very tall during his early years. At his high school, he played basketball, football, and baseball. He had grown to a height of 5'11". This made him taller than his two older brothers. He tried out for the varsity basketball team during his sophomore year, but at 5'11" he was deemed too short to play at that level. This would serve as the motivation he needed to work harder. Michael would later grow to 6'3" the following summer before finally reaching his adult height of 6'6". Michael had an older cousin who was 6'7" and lived with the family briefly while he was in high school, working on basketball with the younger boys. He probably got his height from his cousin's side of the family. MJ admits that his toughest opponent to date was his brother, Larry Jordan. He says Larry could have been a better player than himself had he grown past 5'8". Russell Westbrook with his mum and dad. The point guard for the Oklahoma City Thunder is a tad bit on the shorter side at 6'3". He is still certainly taller than the average person and is much taller than his parents. 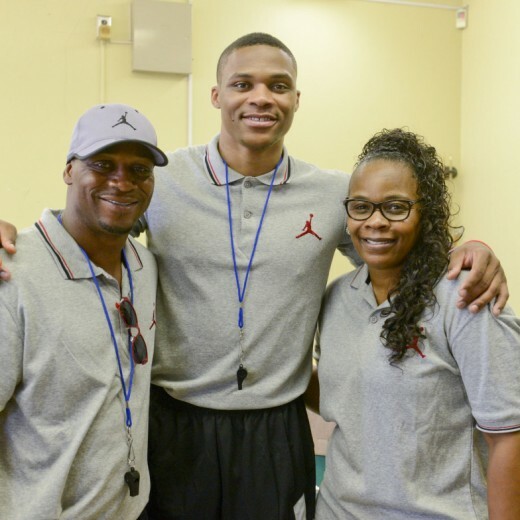 His father, Russell Westbrook Jr., stands at 5'8". His mother, Shannon Horton, is around 5'7" which is quite tall for a woman. It is highly likely Russell inherited his tall genes from his mom's side of the family. The NBA star had a rather large growth spurt during high school. He was 5'8" as a freshman with size-13 feet and didn’t start on varsity until his junior year. None of the major camps or elite AAU squads extended invitations to him. Before his senior year, Russell had shot up five inches and his game had greatly improved. He had reached his full adult height of 6'3" by the time he started playing at UCLA. Russell's younger and only brother, Raynard Westbrook, stands at only around 5'6" and goes to show how lucky Russell Westbrook was to have inherited the right genes for height from his family as he will clearly be nowhere near the player he is today if he didn't grow past 5'8". Jeremy Lin is one of the few Asian Americans to play in the NBA, and the first American of Chinese or Taiwanese descent to play in the league. 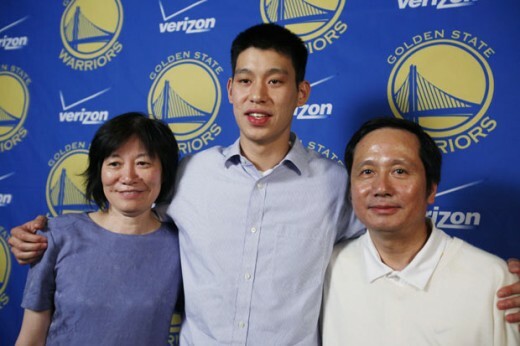 Being of Asian descent, it is no surprise that both of his parents are under six feet tall. His mom and dad both stand at 5'6". The former Golden State Warriors player has admitted that he used to blame his dad for being short. This was because he stood at only 5'3" when he was 15. Jeremy would eventually reach his adult height of 6'3" and has since apologised to his father. His maternal grandmother's family was tall, and her father was over 6'0". This may account for where Jeremy got his height from. He was very lucky to have inherited tall genes from that side of his family because his two brothers, Joseph, and Josh Lin, are below 6'0". His younger brother, Joseph Lin, is next tallest at around 5'11" and currently plays in Taiwan's Super Basketball League. Gordon Hayward currently plays for the Boston Celtics. He played college basketball at Butler University for two seasons where he led his team to a runner-up finish in the 2010 NCAA Tournament during his sophomore season. Hayward was named an NBA All-Star for the first time in 2017. It had always been the dream of Gordon to play in the NBA since age 5. With his mom and dad both standing at 5’10, this dream seemed bleak. He stood at only 5’11 during his freshman year of high school, and his doctor had predicted that he was not going to be more than 6’2”. Because of this, he focussed on building the skills that would set him up for success as a guard. According to sports commentator Pat Forde, Hayward's father "continually pushed his son to develop a guard's skill set," believing he was destined to be of average size. He trained him to be the best ball handler, outside shooter, and facilitator he could be. Hayward's unusual skill set was largely the result of his father's misconception about his future growth. Forde refers to Hayward as "The guy who learned how to play like a guard but now has the size of a power forward." Hayward had even considered quitting basketball entirely to focus on tennis at one point because he knew that a career in the NBA wasn’t likely if he didn’t break out of his 5’11” mold. He and his twin sister, Heather, both starred at tennis and were a fantastic mixed doubles pair. Gordon's first appearance in the sports pages was not in basketball but in tennis. However, his mother persuaded him to stay with basketball for one more year. Wilt Chamberlain is widely considered to be one of the greatest and most dominant players in NBA history. It is hard to believe that Wilt, who was 7'1", was conceived by parents who were of average height but that was the case. Wilt's dad, William Chamberlain, was only 5'8". His mom, Olivia Ruth Johnson, stood at 5'9". Olivia Johnson used to tell young Wilt stories of her grandfather who was a farmer and stood at around 7'0". This might explain where Wilt got his unusual height from. The family had tall genes because one of his brothers, Wilbert Chamberlain, also grew to 6'5". 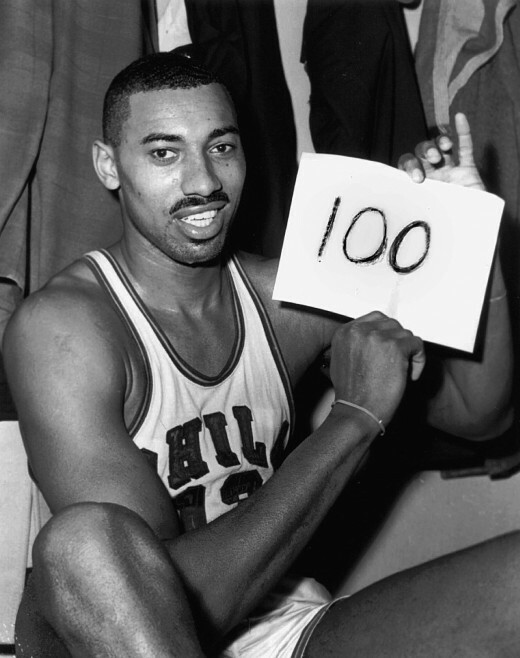 The only player to score 100 points in a single NBA game was already six feet tall at age 10. He was 6'11" when he entered Philadelphia's Overbrook High School and had a strong advantage over his peers. Despite his overall dominance, Wilt was very terrible at free-throw shooting. During his career, he missed 5,805 free throws. He used to dunk his free throws, and the NCAA and NBA banned crossing the foul line during a shot because of him. Amazingly, he never fouled out of an NBA game. 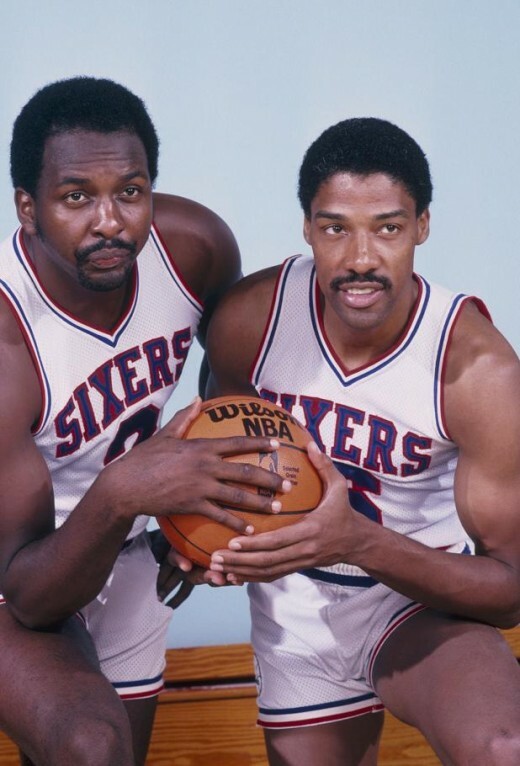 Moses Malone is regarded as the greatest offensive rebounder of all time. The three-time NBA Most Valuable Player who stood at 6'10" had a dad who was only 5'6". His mom stood at a mere 5'2". Only his hands seemed a result of that union for he had incredibly small hands for a man of 6'10". He could palm the ball but couldn't dunk and control the ball like so many small guards. Because of this, Tom Nissalke, the Rockets' coach, gave him a series of hand-stretching exercises, like those for a pianist. The same medical anomaly that produced a 6′10″ child from a 5′2″ mother and 5′6″ father gave him his small hands. His teammate Rick Barry once joked that if his hands were proportionate to his body, the league would have to outlaw him. It was probably due to the fact that he had to work extra hard to overcome this limitation which ironically resulted in him being one of the game's best rebounders. He had reached his full height when he was 19 and was one of the most sought-after college basketball prospects in history. He became the first player to enter professional basketball directly from high school. 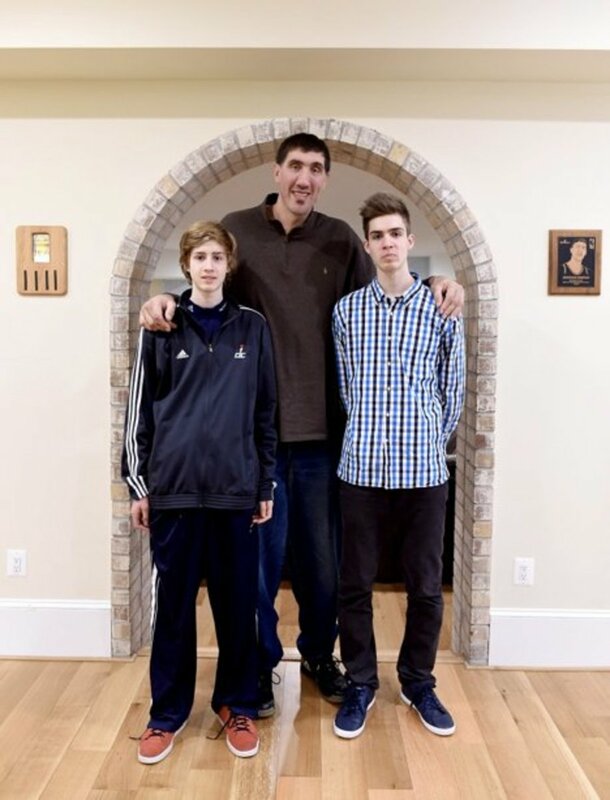 Gheorghe Muresan with his two sons, George and Victor. Gheorghe Dumitru Mureșan is one of the two tallest players in NBA history. The other is Manute Bol, and they both stood at 7'7". Mureșan is the tallest man in Romania and is currently the tallest living person in the European Union after the death of Game of Thrones star Neil Fingleton. Gheorghe did not get his height from his parents. His dad is 5'9," and his mom is 5'7". Manute Bol, on the other hand, came from a family of extraordinarily tall people. 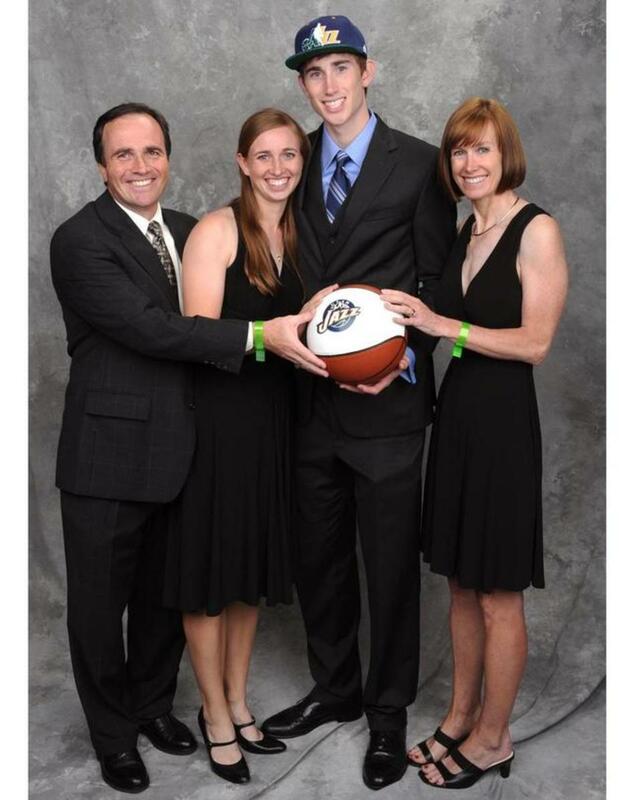 Bol's mom was 6'10", his dad was 6'8", and his sister was also 6'8". Manute's great-grandfather was even taller at 7'10". His ethnic group, the Dinka, and the Nilotic people of which they are a part of, are among the taller populations of the world. Gheorghe’s height is the result of a pituitary gland condition. He would probably still be tall if he didn’t have this condition, just not 7'7". Almost immediately after he was selected in the second round of the NBA draft by Washington, he underwent surgery to eliminate the tumor on his pituitary gland. The former Washington Bullets and New Jersey Nets player didn't start playing basketball until he was 14. He enjoyed playing soccer and was encouraged to try out basketball because he stood at almost 7'0" at that age. His career was unfortunately derailed by injuries. Gheorghe is married to a Romanian lady called Liliane who stands at 6'1". They have two sons, George and Victor, who also have a love for basketball. His older son George is already 6'8" at 16. His younger son Victor, who is only 13, is the same height as his mom Liliane. 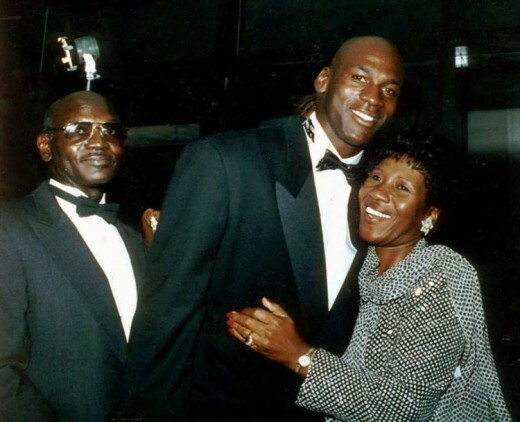 Here are some other NBA stars who had some relatively short parents. Shaquille O'Neal: To be fair, Shaq's parents are taller than average. His mother, Lucille O'Neal, is 6'2". His father, Joe Toney, is 6'1". However, they are still well below the average NBA height. More importantly, they are dwarfed by their son who towers at 7'1". He was already 6'6" at 13. Kareem Abdul-Jabbar: This is another case of parents being relatively short to their son. Kareem's father, Ferdinand Lewis Alcindor Sr., was fairly tall at 6'2". His mother, Cora Lillian, had an above average height at six feet. These heights are still well below the NBA average and well below Kareem's height of 7'2". The hall of famer was a fast grower as he was already 5'8" at age nine. Lebron James: King James stands at 6'8", which makes the small forward a rather imposing figure. His height is more impressive considering that his mother, Gloria Marie James, only stands at 5'5". No one knows for sure how tall his father Anthony McClelland is, but it seems his stature is not that impressive either. LeBron's height can be attributed to luck. He was already 6'3" in his freshman year of high school where he was an immediate star of his varsity team. He grew an additional two inches by his junior year when he was considered a top pick from NBA scouts. He became the second player to be drafted at number one straight from high school. His career accolades include being a three-time NBA Champion, a four-time MVP, and a 14-time All-Star. Can I Increase My Height Like an NBA Player? The harsh reality is that your height is largely determined by genetics. Granted, as these NBA players have shown, some people can overcome this. However, the vast majority of us will be roughly the same height as our parents. There are some measures you can take to reach your maximum potential height. Nutrition plays an important role in a person's developing years. Getting the proper amount of vitamins and minerals can help your body grow strong and potentially taller during puberty. Getting plenty of sleep is important as well as this is when your body develops growth hormones. Keep in mind that this is only applicable for children and young teenagers. You are generally done growing by the time you hit your late teens and early 20s. Are these the only NBA players who had short parents? I highly doubt so. If you know of any other players, please let me know in the comments section below. How tall are Kevin Durant's mom and dad? How tall was Kobe Bryant during his high school freshman year? How tall was LeBron James when he was 11 years old? How tall was Kevin Durant when he was thirteen-years-old? Kevin Durant was unusually tall from a young age. He stood at almost 6'0" when he was thirteen. How tall was Stephen Curry in high school? Steph Curry stood at only 5'7" and weighed 130 pounds in his freshman year of high school. Can you name some famous guys who are much shorter than their dads? We take a look at some famous male personalities (mostly actors) who stand at least 4 inches shorter than their dads. 1. Bill Gates - Bill Gates is one of the richest and most influential personalities in the world. Bill Gates stands at around 5'9" and with a dad that stands at a staggering 6'7", you would think Bill should have been at least 6'0" tall. I guess there is no need to feel bad about the tall genes backfiring on you if you inherit the genius gene. 2. Jaden Smith - The Pursuit of Happyness star and the son of one of the most powerful actors in Hollywood stands at around 5'8". His dad, Will Smith, is 6'2". His mum, Jada Pinkett, is only 4'11 and so that might explain why he stands over 5 inches shorter than his dad. 3. Kiefer Sutherland - Kiefer Sutherland is best known for his portrayal of Jack Bauer on the Fox drama series 24. His father, Donald Sutherland, is also an actor and stood at 6'4" in his prime. Keifer, on the other hand, stands at only 5'9" which is astonishing considering the height of his dad. 4. Robert Downey Jr. - Robert Downey Jr. has been caught wearing high heels and lifts in his footwear just to appear taller. At 5'8", he seems to have some insecurities about his height. To make matters worse, his dad, Robert John Downey Sr., stands at 6'3". Robert Downey Jr. might have grown up as a kid thinking he would be at least 6'0" only to end up slightly below the US average male's height. 5. Scott Caan - At a mere height of 5'5", this actor has shown that size doesn't always matter. Scott Caan's dad, James Caan, who is also an actor, stands at 5'9". Scott is 4 inches shorter than his dad which is quite unusual. 6. Josh Brolin - Josh Brolin is best known for his work as Llewelyn Moss in No Country for Old Men. At 5'10", he is not particularly short. However, if you consider that his dad, James Brolin, stands at 6'4", you begin to think Josh should have been at least 6'0". That goes to show how complex the genetics of height is. 7. Scott Eastwood - Scott Eastwood is an American actor and model and is the youngest son of Academy Award-winning actor-director Clint Eastwood. Clint Eastwood, who is 6'4", towers over his son, Scott, by a good 5 inches. 8. Timothy Hutton - Timothy Hutton is the youngest recipient in the Best Supporting Actor Category of the Academy Awards which he won at the age of 20. His father was actor Jim Hutton. Timothy Hutton stands 4 inches shorter than his 6'4" dad. How tall was Kevin Durant in high school? Kevin Durant stood at 6'0" during his freshman year of high school. He was 6'2" during his junior year and had grown to a staggering 6'7" his senior year of high school. Did Julius Thomas experience a late growth spurt? Yes. Julius Thomas went from 5'9" in high school, to 6'5" in college, and went on to be 6'6" in the NFL. Which NBA players had late growth spurts? I'm twelve-years-old and I'm 5'2”.Could I become taller than 6’0” if my dad was 5'4” and my mom was 4'11”? Genetics is unpredictable so anything can happen with your height. However, considering the height of your parents, the probability that you would end up taller than 6’0” is very low. If you have grandparents taller than 6’0” then it might help. I will advise you not to concentrate too much on your future height as this has already been written in your genetic code. The best thing you can do it to eat healthily, sleep well, and exercise regularly so you can grow to your full potential. How tall are Stephen Curry's mom and dad? Stephen Curry's mother, Sonya Curry, stands at 5'3". Steph's dad, Dell Curry, stands at 6'4". Can you name any tall famous actor with relatively short parents? Joe Manganiello stands at 6'5," but both of his parents are below 6'0". His dad stands at around 5'11, and his mom stands not more than 5'10". How tall are Michael Jordan's sons? Michael Jordan has two sons; Marcus Jordan and Jeffrey Jordan. Jeffrey Jordan stands at 6'1" and Marcus Jordan stands at 6'2". How tall is Shaq's son, Shareef O'Neal? Shaq's son, Shareef O'Neal, stands at 6'9". He is 4 inches shorter than his dad. How tall are Anthony Davis' mother and father? Anthony Davis' mother, Erainer Davis, stands at 6'1". Davis' dad, Anthony Sr., stands at 6'3". What is the name of the Greek NBA player with a thirteen-letter name? How tall was Chris Paul in high school? Chris Paul stood at an unbelievable 5'1" during his freshman year of high school. How tall was Porzingis in high school? Porzingis stood at 6'8" in high school. How old was Kobe Bryant when he first entered the NBA? Kobe Bryant entered the NBA Draft at just 17 years old. His parents had to sign his contract for him because he wasn't old enough. He played his first professional game in the NBA at just 18 years and 72 days old becoming one of the youngest players to ever play in the NBA. However, the youngest player to ever play in the NBA was Andrew Bynum who played his first game at the age of 18 years and six days. How tall was Westbrook in high school? Russell Westbrook was only 5'8 as a freshman in high school. Before his senior year, Westbrook had a growth spurt that saw him grow from 5'10 to 6'3. How tall is Stephen Curry's brother? Stephen Curry's brother, Seth Curry, stands at 6'2". Did John Isner experience a late growth spurt? At age 16, John Isner stood at 6'3" and looked like he had stopped growing. However, he grew a remarkable seven inches in his late teens and early twenties which saw him reach his adult height of 6'10". How tall is Stephen Curry's sister? Steph Curry's sister, Sydel Curry, stands at 5'9". How tall was Odell Beckham in high school? Odell Beckham was 5'10" in high school. How tall was Kareem in high school? Kareem was already 6'8" in high school and would eventually reach his full height of 7'2" when he entered the NBA at twenty-two. How tall was Kevin Costner in high school? Kevin Costner's late growth spurt that saw him reach his adult height of 6'1" is truly amazing. Costner was only 5'2" all throughout high school. From the age of 18-21, he grew a remarkable 11". How tall was Tim Lincecum in high school? Tim Lincecum went from being 4'11" all throughout high school, to 5'8" at the end of his senior year, and even grew another inch in college before he went on to the MLB. Im 14.5 and my dad is 6'3 and my mom is 5'6 and I am only 5'4,My dads side of the family for hundreds of years are all taller than 6 foot.My moms side of the family are short,I love the game of basketball and I can barely defend the players on my team who are 6'4.Will i Grow taller and reach 6'5 which is in my opinion"My ideal height"
I'm 13.5 and soon gonna be a freshman in high school. I am currently 5'11 and my dad is 5'9 and my mom is 5'6. Most of my uncles are average (5'10) or above average height (6+) and my grandpa is 5'9 ish. Will I grow past 6'4? Im 12 and already 5'8 my mom is 5'5 and my dad is 5'11 but my grandpa is 6'7 and all of my cousins are over 6 feet do you know if i would become over 6'2? 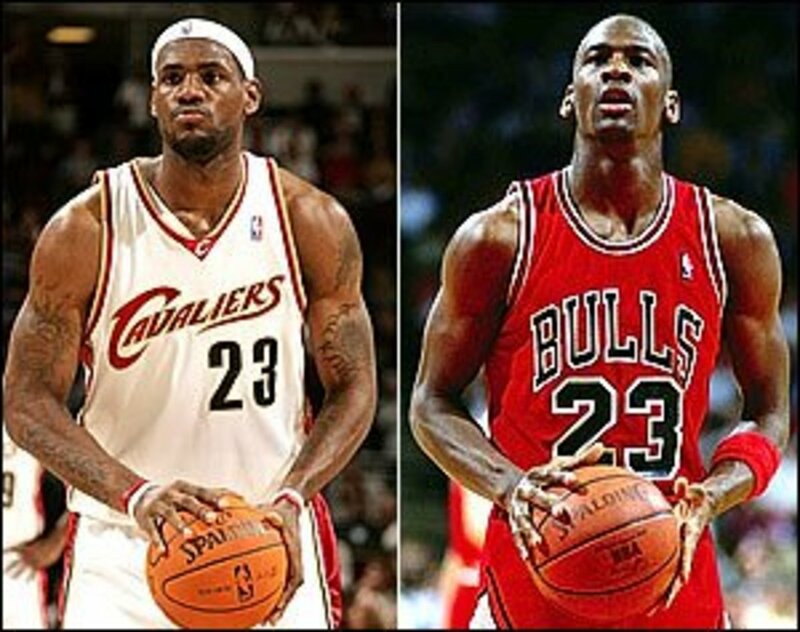 lebron in 8th grade was 6'1 and later in high school grew to 6'8 around his junior to senior year. his doctor in his freshman year said that he wouldn't be no taller than 6'3 but i guess he beat the odds.